A city generates waste. 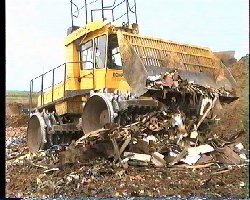 Some waste is transported away, for example to land-fill sites, whereas other waste is disposed of inside the city. Nowadays, of course, environmental and economic issues are important, and so as much waste as possible is broken down and recycled. A cell also generates waste. Carbon dioxide and urea - the by-products of energy production - are expelled and disposed of elsewhere. Many components of the cell eventually wear out, and need to be broken down and the parts recycled. 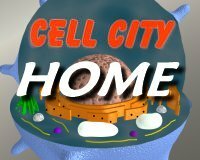 This activity takes place inside the cell in specialized compartments called lysosomes. 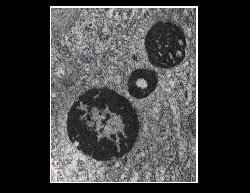 A mitochondrian, for example, that has passed its sell-by date, will be engulfed, disassembled and reused by the cell.